Well, blockchain technology has gained momentum like never before. A large number of organizations are showing interests to prosecute it for giving their digital marketing a big boost. The blockchain is majorly used in the banking and financial realm and is also widely used outside these industries now. In the current digital advertising industry, people are competing hard to access the best way to hit the digital marketing industry for taking their businesses to new heights. The blockchain is the key that can positively change digital marketing in a revolutionizing way. How Blockchain can change the way we look at Digital Marketing? Professionals in the finance and banking industry are aware of the blockchain but many people from various other industries still wonder what blockchain all about is and how blockchain impact digital marketing. Let’s first know how blockchain can help? It can help marketers to understand how to collect useful data efficiently, how to use that data for organization’s benefit, how to address every single customer without any hassle and how they can manage their ads without a hitch. Impact of Blockchain on Digital Marketing. Tracking keywords is a huge challenge. Isn’t it? Don’t worry blockchain can give ease in this process. 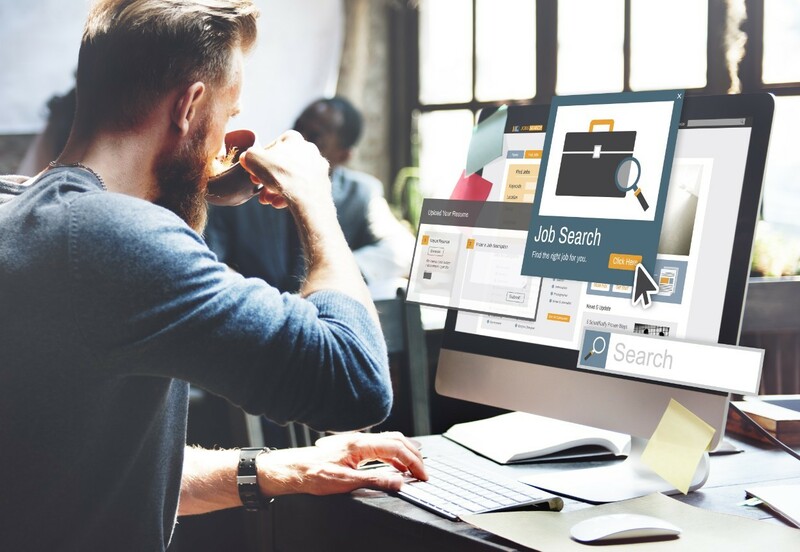 If you are capable enough to track the best keywords, then you might be one of the best digital marketing professionals because keywords play a crucial role in giving your brand a big boost. It helps you to attract a wide array of the population towards your products or services. Using the blockchain will empower the marketers because they can have actual numbers while tracking the keywords. A tracker that is built efficiently on the blockchain, account for entire inconsistencies which a marketer has to account for summarizing their overall efforts. Blockchain actually enables you to track the keyword positions across all types of available devices along with the locations. So, with blockchain, use any kind of information for creating perfect data-driven campaigns for better results. Organic SERP results are much complicated and suing blockchain will get you out from this trouble. For marketers, social media is like a blessing and if you know how to play with it, you can give your business a big boost. Having impeccable control over the data becomes easy with changes to social media. Efficient use of relevant social media channels can be very helpful for marketers as it provides much-needed visibility to the brand. Marketers generally tend to collect data using several approaches and then they combine it with different relevant marketing campaigns. This process is rather not that productive because many marketers or organizations end up in collecting inaccurate data. Hence, don’t give the expected digital marketing results. Whereas blockchain gives better results, as blockchain transactions are decentralized, marketers need to move directly to the data collected from the consumers. This, in turn, gives better results and the campaigns that run through this data give higher ROI. Marketers can gain a greater number of leads through blockchain. Many marketers fear in adopting new data collection methods over other conventional modes because they think that doing this will affect their performance. If you are also a digital marketing professional and still struggling with those old conventional ways to gather your target audience’s information, then it is high time to adopt digital marketing plan for best-possible results. As every marketer knows about the level of fraudsters in advertising space, it becomes our tendency to not use any random technology for our businesses. But using Blockchain will keep you safe and marketers can continue with their marketing campaigns without any stress. No doubt the digital marketing industry is now more geared up to use blockchain for their businesses, but still, a lot of awareness is needed about the same. With blockchain, you can see endless possibilities. Blockchain gives impeccable transparency to every consumer. The consumer now knows who can access their data, who has it, and how their information is being used. Blockchain technology can open a wide number of doors for marketers. Currently, marketers are limited to just Facebook, Google, and other common social media platforms to facilitate their advertising needs. Blockchain technology has an impeccable ability to empower advertisers and marketers in buying or selling their products or services to the target customers with ease. Blockchain customers can easily access the content of their interest without fearing of receiving unwanted advertising. The users also have the ability to give permissions to access their data. So, there is no need for a third party. The customer can control the level of the data visibility to the marketers and marketers can generate more leads with ease. The advantages of blockchain are not only for marketers but it is for customers also. Through blockchain, the database is gathered based on the crowdsourcing data collection principles. So, it basically depends on the user’s wish to contribute or share their information. With Blockchain, the number of leads and its quality increase tremendously. We have already noticed how reputed firms can flourish due to effective use of blockchain technology. So, it’s time to empower your digital marketing with blockchain. Hope that this piece of article will let you switch to blockchain technology without any hesitation. Vikas Arora loves pursuing excellence through writing and has a passion for technology. He has successfully managed and runs personal technology magazines and websites. He currently writes for JanBaskTraining.com, a global training company that provides e-learning and professional certification training. His work has been published on various sites related to Oracle DBA, Digital Marketing, Big Data Hadoop, Java, Dot net, SQL, Data Science, Salesforce, AWS, PMP, DevOps, Business Intelligence, Project Management, Cloud Computing, IT, SAP, Project Management and more. Nice post thank you for your posting. Informative article. I have bookmarked this article for future references. Thanks for sharing such an amazing article.